EmbattledRebel: Jefferson Davis as Commander In Chief, James M. McPherson, Penguin Press, 302pp., 24 black and white illustrations, 15 maps, bibliographic notes, index, 2014, $32.95. As president of the Confederacy, did Jefferson Davis prove to be a decisive factor in bringing about its defeat? Did his work as commander-in-chief contribute the defeat of the Confederacy? Is historian David M. Potter correct in stating that if the Union and the Confederacy had exchanged presidents, the Confederacy might have won its independence? In Embattled Rebel James M. McPherson, an academic scholar with over a dozen books and numerous articles to his credit, avoids comparing Davis to Lincoln. McPherson describes and analyzes Davis’ conception and execution of his duties as commander in chief as he understood them. McPherson notes that negative depictions of Davis’ personality have been offered by his contemporaries in both the Confederate government and military. These depictions of Davis are adequately noted by William C. Davis in Jefferson Davis: The Man and His Hour and An Honorable Defeat: The Last Days of the Confederate Government. McPherson acknowledges that there is substance to the claims that Jefferson Davis was impatient with others with whom he disagreed and did not take personal criticisms well. More often than not, Davis could be humorless, argumentative and cold to others. 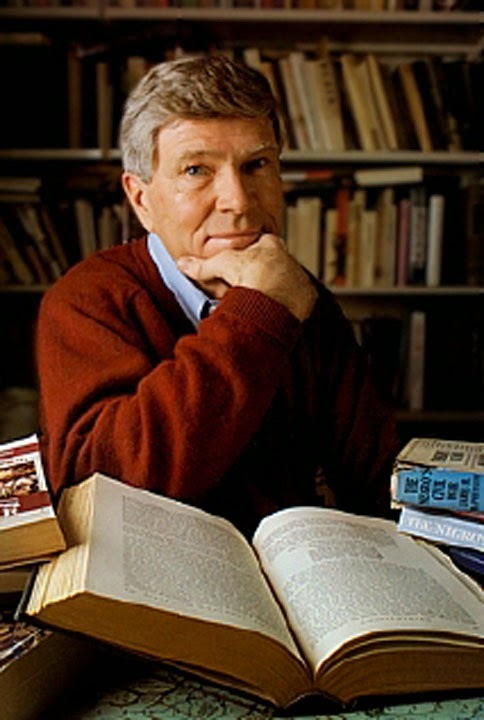 The author does note that some found Davis to be attentive and polite to others, as well as cordial and a good listener. McPherson believes that the Confederate president’s ill-health health was the likely cause of apparently abusive conduct. Symptoms of previous bouts with malaria, severe neuralgia, and corneal ulcers left him at times in pain, nauseous, and partially blind. Often sick, Davis worked frequently from a sick bed at home. Bronchial infections, insomnia and boils increased discomfort and pain. McPherson notes that it was in April and May 1863, while Lee was suffering from symptoms of heart disease and Jackson was dying, that Davis could not come to the presidential office for reasons of sickness. Along with his ill-health, the stress of having meager resources at hand to meet the challenges of the presidency added to Davis’ irritability, impatience and short temper. With these caveats, McPherson judges Davis on five activities: 1. national policies regarding war aims, 2. national strategies regarding of the mobilization of political, economic, diplomatic, and military resources, 3. military strategy to address the war aims, 4. operations and management of the armies and their movements, and 5. the military tactics of specific armies in specific battles. He finds that Davis’ shaping and articulation of national polices to be clear and forceful regarding nationhood and slavery. McPherson makes the case that Davis’ military efforts were conditioned by economic and European situations beyond his control. Regarding the operations of the armies and military tactics, McPherson describes the difficulties and behavioral conflict inherent in Davis’ command style and those of several army commanders, who like Davis could be apparently thin skinned regarding criticism and closed minded to suggestions. 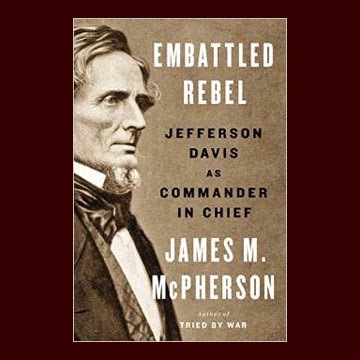 In Embattled Rebel: Jefferson Davis as Commander In Chief, McPherson clearly understands that at the core of Davis’ difficulties lies not only his ill-health but also his ‘offensive-defensive’ military strategy and the strategies’ conflicts with the rights of the states to control their own manpower and resources. For McPherson, Jefferson Davis should not be charged with losing the war but that Lincoln won it by adeptly using resources, embracing over time a successful military strategy, and building a team of commanders that were not available to the Confederacy. Embattled Rebel: Jefferson Davis as Commander In Chief is succinct and clearly written. For those who have not read biographies of Davis published in the last 30 years, Embattled Rebel is a very fine place to start.